As a healthcare professional the pharmacist will follow physician instructions regarding different kinds of medications that need to be administered to a patient based on that patient’s diagnosis. Pharmacists will commonly be employed in retail pharmacies, hospitals and medical clinics, or they can work in research labs, or government agencies. Students that are interested in earning a pharmacist degree will need to earn the doctor of pharmacy degree, also known as the PharmD. 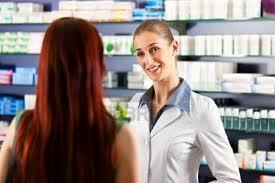 Before working as a professional, the pharmacist will need to follow various licensing requirements. In addition to obtaining the PharmD degree the pharmacist will need to pass two tests that are administered by the National Association of Boards of Pharmacy. An applicant will also be required to complete a certain number of clinical hours before being eligible to receive their certification. Students will need to find pharmacist degree programs that provide clinical hours in settings such as community pharmacies, hospitals and other types of medical facilities so they’ll be more informed about potential employment opportunities upon graduation. The bachelor’s degree in pharmaceutical sciences is an undergraduate program that is interdisciplinary in natures which includes courses in medicine, chemistry, pharmaceuticals and pharmacology. Students will work in a classroom setting as well as the schools labs and will also be participating in internships with research labs or pharmaceutical companies. To qualify for the bachelor’s program the student will need to have their high school diploma, high SAT scores, and passing admission scores. Coursework for this undergraduate program will include extensive studies of basic science, general chemistry, microbiology, organic chemistry, pharmaceutics, medicinal chemistry and biochemistry. After completion of the bachelor’s degree program, students that are interested in becoming a pharmacist will need to enroll in the four year doctor of pharmacy program after they have obtained a minimum of two years in an undergraduate degree program. Some of the foundational courses in pharmacology practices will include medical dosages, pharmacotherapy, health management, dosage forms and pharmacology law. The clinical experience program is a major part of the pharmacology student’s education. During the first two years of school a student will take the course introductory pharmacology practice experiences, where a student will develop the essential skills needed for consulting patients, performing screenings and administering immunizations. During the last two years of the program the student will take the advanced pharmacology experiences course, which places the student in different types of patient care settings under the supervision of the lead pharmacist. These clinical experiences will allow students to work in different areas of the pharmacy which can include in-patient, electives and ambulatory operations. Pharmacists that are interested in working in different types of clinical settings will need to consider completing a fellowship or residency program prior to applying for a clinical position. The fellowships and residencies are programs that will train a pharmacist for work in a specialty field or for administrative work. Specialties in pharmacology will include informatics, community care, nuclear pharmacology and medical drug interaction research. These programs can last one to two years and will include research on drug therapy or other pharmacology related topics.